Female Pied kingfisher (Ceryle rudis leucomelanurus) on the Chambal River, in Uttar Pradesh, India. It is the only kingfisher that has mastered the art of hovering above water to pinpoint its prey. English : Female Pied kingfisher (Ceryle rudis leucomelanurus) on the Chambal River, in Uttar Pradesh, India. It is the only kingfisher that has mastered the art of hovering above water to pinpoint its prey. Umeda Sky Building, designed by Hiroshi Hara and completed in 1993, is the nineteenth-tallest building in Osaka Prefecture, Japan, and one of the city's most recognizable landmarks. It consists of two 40-story towers (173m) that connect at their two uppermost stories, with bridges and an escalator, depicted here, crossing the wide atrium-like space in the center. English : Umeda Sky Building, designed by Hiroshi Hara and completed in 1993, is the nineteenth-tallest building in Osaka Prefecture, Japan, and one of the city's most recognizable landmarks. It consists of two 40-story towers (173m) that connect at their two uppermost stories, with bridges and an escalator, depicted here, crossing the wide atrium-like space in the center. Winged altar at Ossiach Abbey Church, Carinthia, Austria. Anonymous master of the elder Villach Workshop, around 1505. English : Winged altar at Ossiach Abbey Church, Carinthia, Austria. Anonymous master of the elder Villach Workshop, around 1505. Panoramic view of Kechut water reservoir, near the town of Jermuk, Vayots Dzor Province, Armenia. The reservoir was built in 1981, has a total volume of 23 million cubic meters and for its construction a medieval cemetery and cross stones had to be flooded. English : Panoramic view of Kechut water reservoir, near the town of Jermuk, Vayots Dzor Province, Armenia. The reservoir was built in 1981, has a total volume of 23 million cubic meters and for its construction a medieval cemetery and cross stones had to be flooded. The Old Fortress and the Old Town of Corfu as seen from the New Fortress. The city has become known as Kastropolis (Castle City) because of its two castles. In 2007, the old town of the city was inscribed on the UNESCO World Heritage List. English : The Old Fortress and the Old Town of Corfu as seen from the New Fortress. The city has become known as Kastropolis (Castle City) because of its two castles. In 2007, the old town of the city was inscribed on the UNESCO World Heritage List. Yachts at Zoebigker Harbour, lake Cospuden, Markkleeberg, Saxony, Germany. English : Yachts at Zoebigker Harbour, lake Cospuden, Markkleeberg, Saxony, Germany. Agora of Ancient town of Kourion, Cyprus. English : Agora of Ancient town of Kourion, Cyprus. Far view of Las Lajas Sanctuary and its surroundings, a basilica church located in the southern Department of Nariño, municipality of Ipiales, Colombia. The place is a popular pilgrimage location since the apparition of the Virgin Mary in 1754. The first shrine was built by 1750 and was replaced by a bigger one in 1802 including a bridge over the canyon of the Guáitara River. The present temple, of Gothic Revival style, was built between 1916 and 1949. English : Far view of Las Lajas Sanctuary and its surroundings, a basilica church located in the southern Department of Nariño, municipality of Ipiales, Colombia. The place is a popular pilgrimage location since the apparition of the Virgin Mary in 1754. The first shrine was built by 1750 and was replaced by a bigger one in 1802 including a bridge over the canyon of the Guáitara River. The present temple, of Gothic Revival style, was built between 1916 and 1949. Dubrovnik, historically Ragusa, is a Croatian city on the Adriatic Sea, in the region of Dalmatia. It is one of the most prominent tourist destinations in the Mediterranean Sea. Its total population is 42,615 (census 2011). In 1979, the city of Dubrovnik joined the UNESCO list of World Heritage Sites. English : Dubrovnik, historically Ragusa, is a Croatian city on the Adriatic Sea, in the region of Dalmatia. It is one of the most prominent tourist destinations in the Mediterranean Sea. Its total population is 42,615 (census 2011). In 1979, the city of Dubrovnik joined the UNESCO list of World Heritage Sites. The Church of St. Donatus and the belltower of Zadar Cathedral, Zadar, Croatia. Zadar is the oldest continuously inhabited Croatian city. It is situated on the Adriatic Sea, at the northwestern part of the Ravni Kotari region. 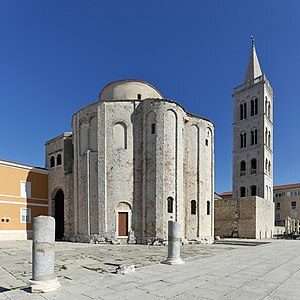 English : The Church of St. Donatus and the belltower of Zadar Cathedral, Zadar, Croatia. Zadar is the oldest continuously inhabited Croatian city. It is situated on the Adriatic Sea, at the northwestern part of the Ravni Kotari region. Night view of the Moskva River, Moscow, Russia. On the left is the headquarters of the Rosneft, a petrol company, and on the right the Kremlin. English : Night view of the Moskva River, Moscow, Russia. On the left is the headquarters of the Rosneft, a petrol company, and on the right the Kremlin. Self-portrait of Nadar between 1900 and 1910. 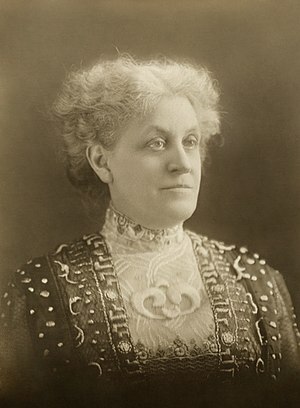 English : Self-portrait of Nadar between 1900 and 1910. The Orb Aqueduct in Béziers, France. English : The Orb Aqueduct in Béziers, France. Zecca, Biblioteca Marciana, Saint Mark's Campanile, and Palazzo Ducale, Venice. English : Zecca, Biblioteca Marciana, Saint Mark's Campanile, and Palazzo Ducale, Venice. Vakil Bath, an old public bath with the status of national monument built around 1769 in Shiraz, Iran. It was a part of the royal district constructed during Karim Khan Zand's reign, which also includes Arg of Karim Khan, Vakil Bazaar, Vakil Mosque and many administrative buildings. English : Vakil Bath, an old public bath with the status of national monument built around 1769 in Shiraz, Iran. It was a part of the royal district constructed during Karim Khan Zand's reign, which also includes Arg of Karim Khan, Vakil Bazaar, Vakil Mosque and many administrative buildings.